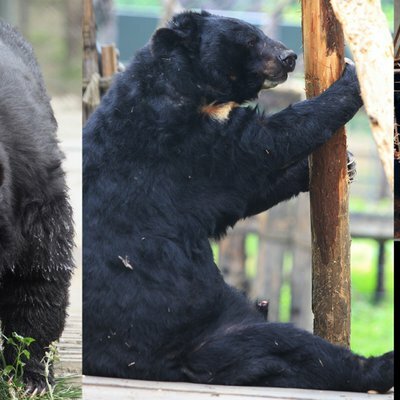 RIP Xie Sheung – He’s gone but this rescued bear will still be seen by thousands every day. He’s gone but this rescued bear will still be seen by thousands every day. 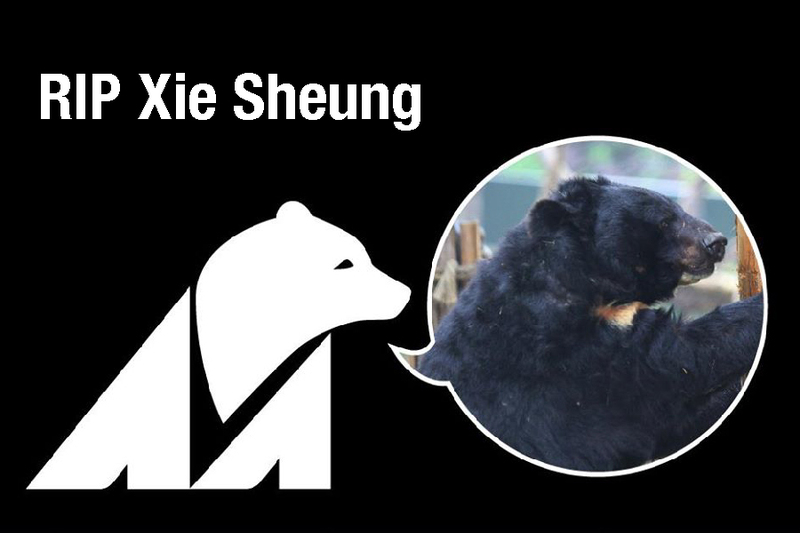 Former bile farm bear Xie Sheung, whose silhouette became Animals Asia’s logo, has passed away, but his image and memory continues to inspire thousands. Xie Sheung was rescued from a bile farm nearly 23 years ago. Freed from an abhorrent crush cage little larger than his body (see the picture below), he went on to enjoy over two decades of freedom and peace in Animals Asia’s care. He passed away at Animals Asia’s China Bear Rescue Centre this summer. 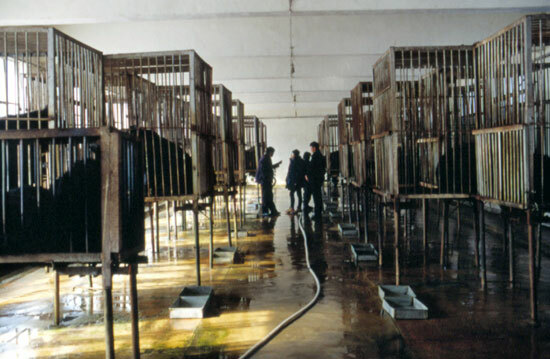 Xie Sheung’s final days were spent in a specially constructed part of the sanctuary for old and infirm bears known as the Special Care Area. “A gentle, joyful bear — Xie Sheung and his friends opened the eyes of the world to the horrors of bear bile farming, and demonstrated the most incredible forgiveness of a species so maligned by mankind. That he lived such a long and happy life after being rescued, reaching well over 30 years of age, is testament to the two decades of professionalism and kindness he received. To date, Animals Asia has rescued almost 600 bears from bile farms in China and Vietnam. 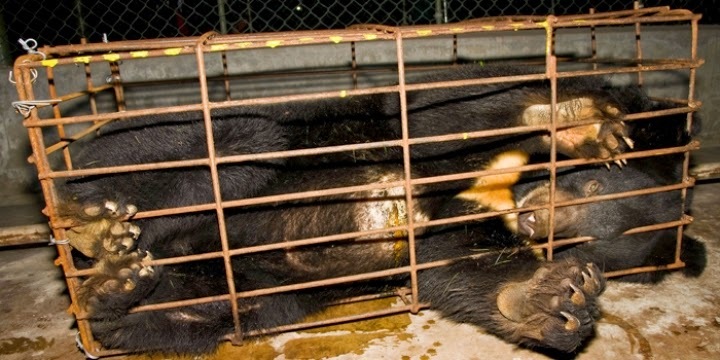 In China there are still over 10,000 bears caged in bile farms with around 1,200 more in Vietnam. Horses Have 10 Litres of Blood Taken In Single Extraction Due To Demand From Hormone Producers – Take Action. Update 26/9/16 – these are full versions of the links given at the end. The horrendous industry is driven by demand from veterinary pharmaceutical companies like MSD Animal Health (Merck Animal Health in the US and Canada) that use the blood to extract a hormone called PMSG. Sign the petition to tell MSD to stop profiting from animal torture and cut ties with blood farms immediately. Tell MSD that if it has any real concern for animal health, it must cut ties with these blood farms. Now, let’s team up again to protect the horses from suffering for profits! Blood farms in Uruguay and Argentina de TSB|AWF, Animal Welfare Foundation. Turning Horse Blood into Profits, The Dodo, 2 October, 2015. Blood farms, Animal Welfare Foundation. Wie Pharmakonzerne mit Pferdeblut Geschäfte machen (“This is how pharmaceutical companies turn horse blood into profits”), Sueddeutsche Zeitung, 29 September, 2015. 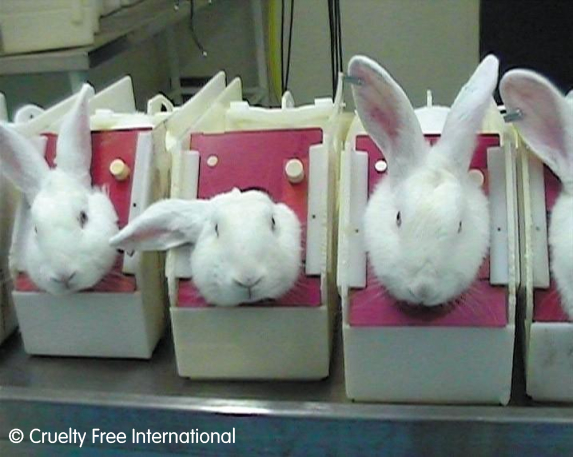 Great News – Europe’s Cosmetics Animal Testing Ban Has Been Saved. For the last 2 years, our expert legal team has been working behind the scenes to save Europe’s cosmetics animal testing ban. And you’ll be delighted to hear their hard work has today paid off. A powerful cosmetics industry body* had been trying to jeopardise your ban in the UK and European courts. They wanted to swerve the ban by using animal tests allowed under other European or overseas legislation for the cosmetics they sell in the UK and EU. Clearly this makes a mockery of the EU ban which together we campaigned so hard to achieve for animals. 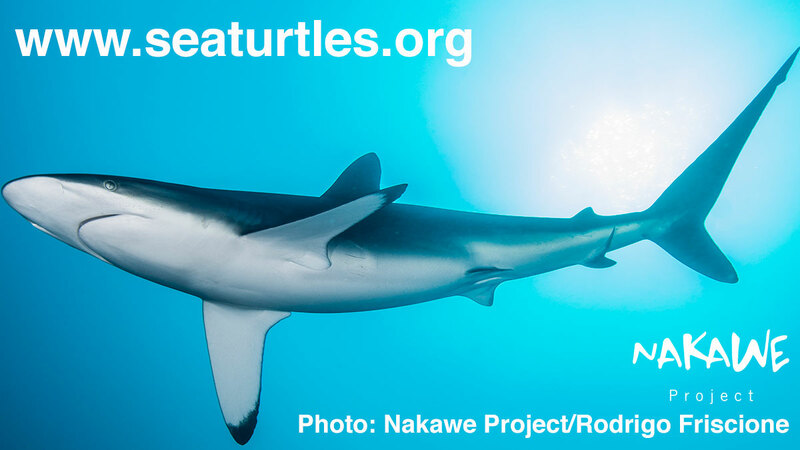 Thanks to our unique expertise, our legal team was able to leap into action and we were the only NGO given permission to intervene to stop them in their tracks. And today the European Court of Justice has ruled in favour of common sense, making it harder for companies to sell cosmetics in the UK and EU if they have been animal tested elsewhere in the world. Mark, isn’t it staggering that some parts of the cosmetics industry are still arguing they should be allowed to use animals in cruel and painful tests? We don’t always shout about the life-saving work we’re doing behind the scenes for animals. And we don’t always ask for your help to fund it. But our small team of experts is here, working around the clock on your behalf to help the animals languishing in laboratories. We never forget them. You can remember them too by making a donation today. 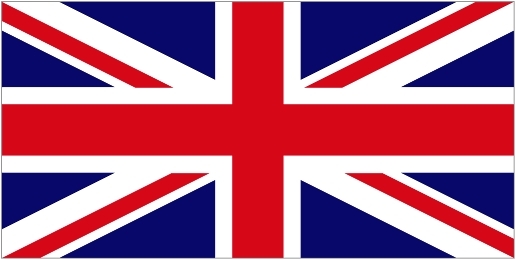 – The British Union for the Abolition of Vivisection. UK: ‘Brexit’ Actions May Prove Very Positive For Animal Welfare. We have been working hard re live animal exports. Over the last week we have sent out copies of the UK – Germany export video made by Eyes on Animals. We have been in contact with the UK government and supplied them with copies of some of the protests against the trade at Ramsgate harbour. 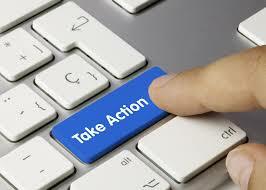 In addition, we have also written and supplied video links to the UK Minister at Defra, as well as to several Conservative MP’s asking them to take action against the trade. In response to many of the above points we have raised; we have now been contacted by Lorraine Platt – Co-Founder of the Conservative Animal Welfare Foundation. There are several points in the message from Lorraine which give us some hope. As we have said recently on this site; leaving the EU will give the people of the UK powers to improve animal welfare rather than have to put up with the excuses from Brussels that we have all experienced and the words that they tell us they can do nothing when provided with (for example) the clear breaches of EU Regulations at the EU / Turkish border. If the EU does not have the balls to take action then we will have to go independent (Brexit) and as the people voted – take back our own controls from a very lack luster Brussels. We urge the Government to introduce a Bill in Parliament to ban live exports so that the ban is ready to come into force on the day that the UK leaves the EU. We want people to speak up for the voiceless and tell the world: ‘Animals Are Not Freight’. There is increasing support for mandatory CCTV in all slaughterhouses: Conservative MP Henry Smith, Co-Chairman of the All Party Group for Animal Welfare in the House of Commons launched a debate calling for it, and Philip Hollobone MP led a Westminster Hall debate on non-stun slaughter which was well supported by MPs. The debate was triggered by 115,000 public signatures. As the UK will soon no longer be bound by the EU’s free trade rules, the Government should ban the live export trade which over the years has caused immense suffering to our animals. 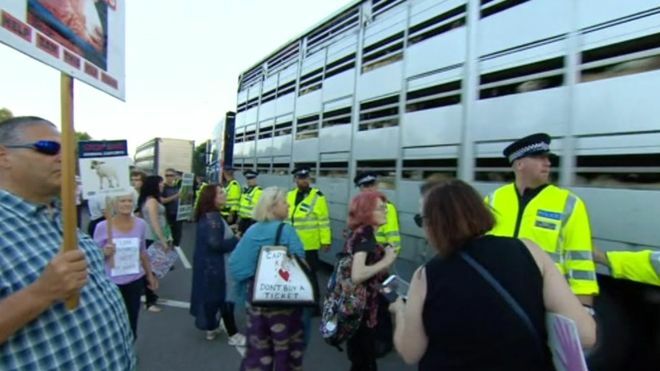 Lorraine will very soon be having a personal meeting with the Environment Minister; at which she will be bringing the issue of live animal exports to her attention again. MP Craig MacKinlay has introduced a Bill to help end live exports. He joined animal welfare campaigners at Ramsgate port on 26th August. The Bill will have its next reading on the 4th November. The videos made by Ian Driver at Ramsgate, and which you can see on this site, have also been tweeted on the CAWF twitter site. We are hopeful at what we hear from CAWF. Especially as this shows the once free from the do-nothing people and red tape of the EU, the UK will be able to go it alone and take back control of its own rules and regulations – free from the do nothing shakles of the EU. Hopefully very positive news for animals and their welfare. As we said after the result of the Brexit vote was known; UK animal welfare groups are not going to pack up and go home. Quite the opposite – we hope that free from the control and restraints of Brussels, much higher welfare standards can be established and the UK can ensure that any trade deals set up between the UK and overseas partners will ensure that only the highest animal welfare standards are accepted. This obviously does not solve the problem of all live exports; but we hope it may be a start towards some bans. We also very much hope that out friends and fellow campaigners in the EU will see that nations can take back control, set their own rules, and get away from the no action top dogs called the EU which currently govern them. The fight goes on but we see light at the end of the Brexit tunnel for animals due to be exported from the UK at least. Other bans in the EU ? – that is up to other EU member states to decide if they stay or if they go from Brussels. Live Exports – Inspections of Trucks At The Turkey / Bulgaria Border. If the EU cannot take any action despite EU Regulation 1/2005 to protect the welfare of animals in transport, then these conditions are obviously approved by Mr (‘there is nothing we can do’) Van Goethem and his EU ‘veterinarians’. And we always believed that veterinarians existed to improve the welfare of animals ! Observations during the inspection of Pimk trucks at the border of Turkey and Bulgaria (Kapikule) in July 2015. Video Footage of British Sheep Exported To Germany For Ritual Slaughter. We have been involved with live export work for around 26 years and intended to move away from this issue a bit more with the formation of SAV. But once in your blood, it is often difficult to let go of campaigns that you have been involved with over such a long number of years. So we are sticking with live export issues (on a global basis) and will be showing work, videos and updates to news which we consider is appropriate to the campaign. The live export trade from the UK has almost been closed down over the years by very dedicated people / campaigners. But all the footage in these videos relate to a Dutchman named Onderwater and his attempts to export English sheep to Europe for ritual slaughter at Eid. With relation to the same live export investigation of British sheep for slaughter in Germany by convicted criminal Onderwater; we now have video footage from Lesley at Eyes on Animals in the Netherlands which can be seen from the observation team during the trail. in order to see the link to the WRITTEN report of this investigation. Note also that we have added this video to this post; which was not the case when it was first produced. SAV.